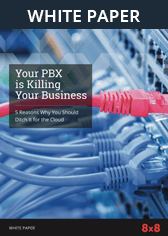 Going Global with Cloud Communications | 8x8, Inc. The term “globalization” used to be relevant to only the world’s largest businesses. Even 8-10 years ago, most American small and medium-sized businesses (SMBs) were not thinking about competing in markets outside the U.S. But it’s a new economy and the rise of ubiquitous Internet access has dramatically changed the business landscape. 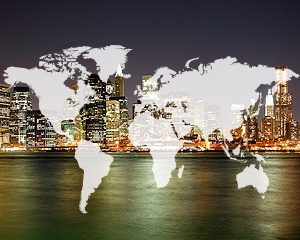 Today, even SMBs need to think globally. However, planning for global expansion is no small feat and going global can be intricate, costly and complex if you don’t have the right business partner. Simply put: The process can be daunting, and the last thing companies need to worry about is how to enable their highly distributed workforce to communicate and collaborate more effectively. Yet, to expand across borders, it is vital that your communications infrastructure is global-ready. So let’s take a look at what it takes to have a true global-ready communications system in today’s competitive market. It’s challenging enough to expand into new locations and domestic markets. If you are not growing through acquisitions, you have to figure out how to set up shop in new offices, hire local talent and procure new systems to ensure your employees are productive and able to connect with customers from day one. Your communications system is at the heart of this challenge. Not to mention, you’ve got local and state government barriers to contend with, such as local labor and tax laws. And these barriers get exponentially more challenging as you expand into new countries. When it comes to establishing a local presence in international waters, it’s important to understand the regulatory and compliance issues of the specific country where you plan to do business. This can be challenging if you don’t have a local liaison or if you are working with a niche hosted VoIP provider who simply lacks expertise in these key areas. For instance, in certain countries, it’s not enough to just have a local phone number to establish a presence there. You may also be required to have a local business address and/or a letter of intent that indicates your line of business and how you intend to use the number. Additionally, each country has complex regulatory issues when it comes to privacy, data transfer, data sovereignty, and encryption. Emergency services rules differ country by country as well. If you’re working with a local carrier, they will have knowledge in each of these aforementioned areas, but only in their home country. For example, a Belgian carrier may only have expertise in the regulations required in Belgium. If you want an office in Singapore, you may have to look for a local carrier there, which often means you can easily end up with multiple vendors, multiple bills—and not to mention—multiple services to manage. When it comes to actually deliver on the promise of true global communications, the pool of companies becomes very small – with 8x8 leading the pack. Our patented Global Reach Network® offers an immediacy to international communications that other cloud providers simply cannot match. Customers who come to us looking for a global communications solution get a single partner for all their communications needs. Not only do we provide enterprise cloud communications solutions such as softphones, IM/chat, global directory and presence, mobility and video conferencing, and international calling services, but also flexible plans to enable extension-to-extension dialing capabilities with a continuous communications experience to effectively collaborate from anywhere in the world. Our comprehensive global coverage includes local numbers in over 80 countries, toll-free numbers in over 120 countries and local number porting in over 40 countries. We’ve also developed a deep knowledge of telecommunications and data protection regulations in those same countries where service is offered—based on decades of expertise. Keep in mind, a local provider may not deliver the consistent high call quality that’s required in every single country or location where they do business. 8x8’s Global Reach Network and patented geo-routing technology deliver reliable voice quality no matter where calls are placed in the world. So are you ready to go global? 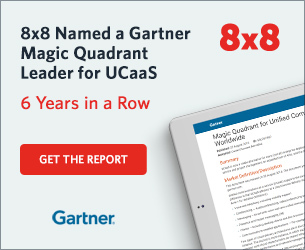 If you’re looking to scale your business and ensure your distributed workforce can communicate effortlessly and affordably across the globe, 8x8 can show you what to look for in a truly global solution. What happened at this year’s Call & Contact Centre Expo?